Open house Sat., Oct. 27th from 11-3. Stunning and elegant finishes in this former model home, on a private street in Griffin Ranch. There are South facing, panoramic mountain views from the large, well-appointed yard. The landscaping for the entire home is top notch. The rear yard has a large Patio cover, wrap around barbecue island, custom pool, and spa and privacy. There are three en-suites and an office and also a large den with wet bar. Either of these rooms can easily be a 4th bedroom. The kitchen and living room have that open feel and are very light and bright. High-end stainless steel appliances, a large kitchen island, & granite slab countertops complete this area. The living room has super high ceilings, a fireplace, custom built-ins, and views out to the pool and mountains. Travertine floors throughout except all bedrooms and office spaces have high end, designer carpets. Plantation shutters in all rooms except living room & kitchen. If you would like to set up a private showing or would like more information on this beautiful home for sale in Griffin Ranch, please contact Elaine Stewart, REALTOR® today at 760-668-2399. Elaine will be more than happy to answer any questions you may have, including property details, pricing, community information, financing options, and more. Offering the ultimate in gracious desert living, the exclusive, 24-hour guard-gated community of Griffin Ranch was once owned by television personality Merv Griffin. Homeowners enjoy a vast array of world-class amenities from luxurious, open-concept homes offering uncompromising quality and detail to the exquisite Griffin Club, reminiscent of an age-old European villa, tennis facilities, Jr. Olympic size swimming pool, fitness center and so much more. Griffin Ranch is located in the heart of South La Quinta near the exclusive communities of the Madison Club, Hideaway, and PGA West. Directions: From Jefferson and the traffic circle: Go up Jefferson turn left on 54th and right on Madison. First guard gate on the left is Griffin Ranch. Please show your business card and RE license to the guard. Known as “The Gem of the Desert,” La Quinta boasts endless sunshine, the majestic Santa Rosa Mountains, quaint cafes, fine restaurants, name-brand retailers, one-of-a-kind boutiques, and so much more. Old Town La Quinta offers a unique desert shopping and dining experience as well as live music, and outdoor art festivals. Golf enthusiasts will definitely fall in love with La Quinta. Recognized by Robb Report as “The Best Place to Live for Golf,” La Quinta has over 25 top-rated golf courses to pick from. Residents also have access to miles of scenic biking and hiking trails nearby. With over 24 years of real estate experience, Elaine Stewart offers a wealth of local market knowledge and expertise. As a licensed, professional REALTOR®, Elaine is committed to providing her clients with accurate, reliable and trustworthy information and the personalized service they deserve. Elaine is very familiar with the desirable community of Griffin Ranch and would be delighted to answer any questions you may have. 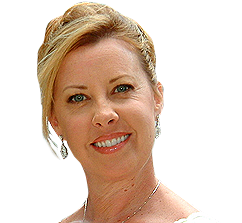 Please give award-winning REALTOR®, Elaine Stewart a call today at 760-668-2399 or fill out the online contact form.